I.1 Why This Book Now? 17.6 What Do Patients Talk About in Online Cancer Communities? 17.11 What If Trial Participants Discuss the Trial in Online Communities? 18.2 Traditional Trial Designs: What’s Wrong With Continuing to Do What We Do? Bradford (Brad) Hesse was appointed Chief of the National Cancer Institute's (NCI) Health Communication and Informatics Research Branch (HCIRB) in November, 2006. He served as the Acting Chief of HCIRB from 2004-2006. Dr. Hesse's professional focus is bringing the power of health information technologies to bear on the problem of eliminating death and suffering from cancer, a cause to which he remains steadfastly dedicated. While at the NCI, he has championed several initiatives that evaluate and progress the science of cancer communication and informatics, including the Health Information National Trends Survey (HINTS) and the Centers of Excellence in Cancer Communication (CECCR). As director of NCI's biennial Health Information National Trends Survey (HINTS), Dr. Hesse is responsible for leading a team of scientists in the development and execution of this nationally representative, general population survey of American adults. 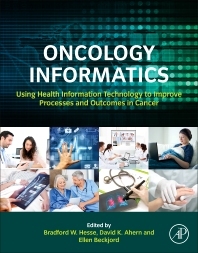 HINTS, now entering its fourth iteration, systematically evaluates the public's knowledge, attitudes and behaviors relevant to cancer control in an environment of rapidly changing communication technologies. Dr. Hesse also serves as the program director for NCI's Centers of Excellence in Cancer Communication Research (CECCR). This initiative supports the research of four centers aimed at increasing the knowledge of, tools for, access to, and use of cancer communications by the public, patients, survivors, and health professionals. The centers have been instrumental in defining the next generation of interdisciplinary collaboration in cancer communication science. Prior to his work at NCI, Dr. Hesse conducted research in the interdisciplinary fields of human computer interaction, health communication, medical informatics, and computer-supported decision making. In 1988, he served as a postdoctoral member of the Committee for Social Science Research on Computing at Carnegie Mellon University, and subsequently co-founded the Center for Research on Technology at the American Institutes for Research in Palo Alto, California in 1991. Working in a contract environment before coming to NCI, Dr. Hesse directed projects for the Departments of Education and Labor, the Centers for Disease Control and Prevention, and the National Institutes of Health. He has also provided usability services to Apple Computer, Hewlett Packard, Xerox, Microsoft, Sun, and Netscape. Dr. Hesse currently serves on the board of advisors for the American Psychological Association's online resource, PsycINFO, and is a member of the American Psychological Society, the Association for Computing Machineries, Special Interest Group on Human Computer Interaction (SIG-CHI), the American Medical Informatics Association, the International Communication Association, and the Usability Professionals Association. Dr. David K. Ahern is on special assignment to the National Cancer Institute under an Intergovernmental Personnel Act (IPA) whereby he will serve as a special advisor to the Health Communications and Informatics Research Branch within the Behavior Research Program. In this role he will assist the Chief and staff in developing a research agenda in health and behavioral informatics to enable enhanced care across the cancer care continuum. Dr. Ahern focused his career on behavioral medicine, studying the intersection of behavioral and psychosocial factors with medical illness, and early on recognized the importance of emerging interactive technologies in health and health care. He left the clinical practice of psychology in 2000 to focus exclusively on research and program administration. Dr. Ahern has published across a broad spectrum of illnesses—chronic pain, cardiovascular diseases, and somatization disorders. Over the course of a 30 year research career, he has assumed investigator roles on numerous NIH grants/contracts in the areas of chronic pain psychophysiology, behavioral and psychosocial aspects of cardiovascular disease, somatoform disorders, and eHealth. While on staff at MGH, Dr. Ahern developed a nationally recognized Behavioral Medicine clinical and research training program and pioneered the use of innovative technology systems for outcomes assessment in health care. In 2001 he transferred his primary hospital appointment from MGH to the Brigham and Women's Hospital to continue ongoing collaboration with Dr. Arthur Barsky on research on hypochondriasis and unexplained medical symptoms. In addition to academic activities at Harvard, since 1997 he has been a senior scientist for a technology-based, health care firm in Rhode Island, creating a successful Small Business Innovation Research (SBIR) program resulting in over 15 grants and contracts. In November 2001, Dr. Ahern was appointed Program Director for a 7 year, $10.3 million national program of the Robert Wood Johnson Foundation (RWJF), the Health e-Technologies Initiative (HeTI), which awarded grants and supported research to advance the science of eHealth. The program supported scientific research that involved (1) providers or provider-based networks; (2) health care organizations; and (3) voluntary and community organizations. In addition, special emphasis was given to studies that assessed efforts to reach specific diverse populations, including ethnic and racial minorities, older adults, low-income families, and disabled persons. Twenty-Four grants were awarded under HeTI and over 50 scientific original manuscripts were published during the 7 years of funding (www.hetinitiative.org). HeTI provided a practicum opportunity for students in public health to learn about the role of technology in improving health and health care. The Initiative concluded its work in April 2009. In May 2009, Dr. Ahern was awarded a $750,000 18 month development grant from RWJF to provide expert technical assistance and guidance to one of the signature national programs of RWJF, Aligning Forces for Quality. He was appointed as Director of the Health Information Technology Resource Center (HITRC) based at the Brigham & Women's Hospital, providing the 16 current active communities across the U.S. with near term value of HIT for improving health care quality. In September 2010 the HITRC received continuation funding of $372,094 to support ongoing technical assistance activities for AF4Q communities. Over the next 2 1/2 years the HITRC enabled many of the Af4Q communities to benefit from investments in HIT through ONC and Meaningful use. The work concluded in April 2013. In May 2010, Dr. Ahern was appointed to direct the Program in Behavioral Informatics and eHealth to expand research initiatives at the intersection of health information technology and mental health within the Department of Psychiatry at Brigham & Women's Hospital. Current projects include an initiative to deploy and implement technologies for assessment and treatment of psychiatric disorders within the outpatient department of psychiatry and pursuit of grant opportunities in health information technology and mental health. Ellen Beckjord is an Assistant Professor at the University of Pittsburgh in the Biobehavioral Medicine in Oncology Program at the University of Pittsburgh Cancer Institute. Her doctoral work in clinical psychology at the University of Vermont focused on delivering psychosocial interventions to breast cancer survivors and she completed her clinical internship at the Vanderbilt-VA Internship Consortium. Dr. Beckjord was a post-doctoral fellow at the National Cancer Institute (NCI). Her first year of fellowship was spent obtaining an MPH in Epidemiology and Biostatistics at the Johns Hopkins Bloomberg School of Public Health, and she went on to join the Health Communication and Informatics Research Branch in NCI’s Division of Cancer Control and Population Sciences. Dr. Beckjord’s research has focused on health communication and behavioral informatics, including projects addressing the role of affect in information processing, use of health information technology to facilitate patient-provider communication, health information management among chronically ill individuals, and use of mobile smartphone applications to support self-regulation, with an emphasis on regulation of health behaviors related to cancer prevention and control. Currently, she is a Clinical Research Scholar (KL2) at Pitt; her project is focused on developing a context-aware, mobile application for smoking cessation called QuitSmart.